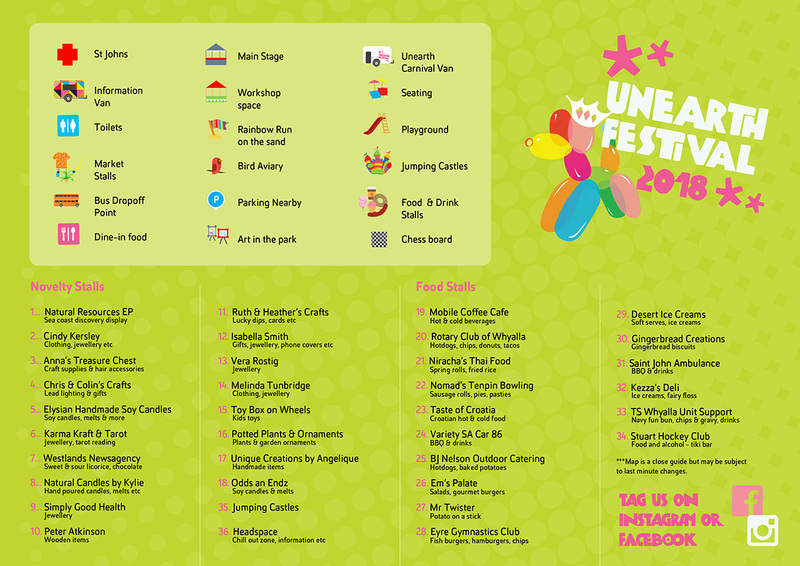 hERE'S YOUR ULTIMATE map and guide FOR an UNEARTH ADVENTURE ON MARCH 30-31 in whyalla. There will be even more market stalls at this year’s Whyalla uneARTh Festival. Last year there were just over 20 markets that proved just as popular as the big line up of entertainment. This year there will be nearly 40 market stalls to add to another huge program of entertainers, artists and activities. There will be discovery displays, gifts, jewellery, lollies, lucky dips, clothing, kids’ toys, plants, garden ornaments, candles, melts and plenty more. 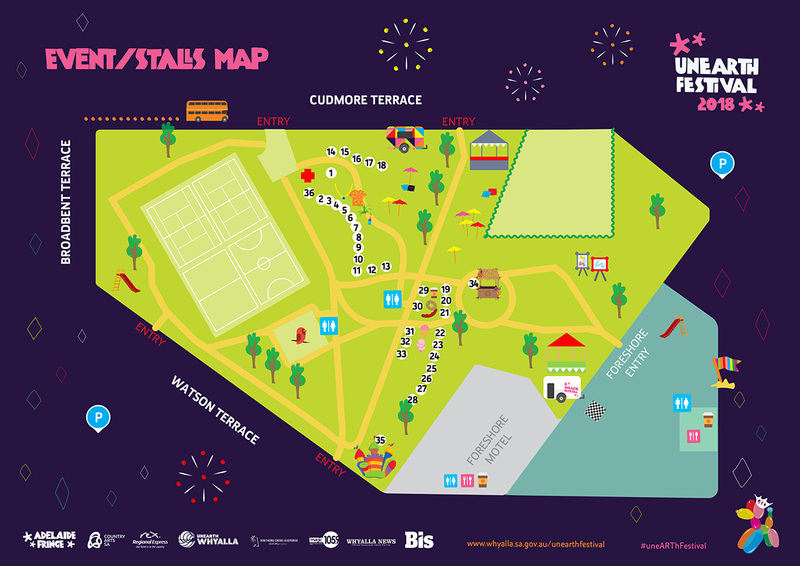 To keep the tribe hydrated and non-hungry, there will also be a stack of stalls offering all sorts of goods including a tiki bar, fairy floss, all your regular hot food plus some different delights like Croatian food and gourmet meals. Festival organiser Rebecca Neilson was rapt with the response from stall owners for this year’s event. “Last year we had a lot of the stalls sell out of food and items, so I think the word has spread that this is a festival to be at,” Rebecca said. “Just as pleasing is we’ve got lots of local people setting up stalls with even more variety added as stall holders from outside town make the trip to Whyalla for this festival. 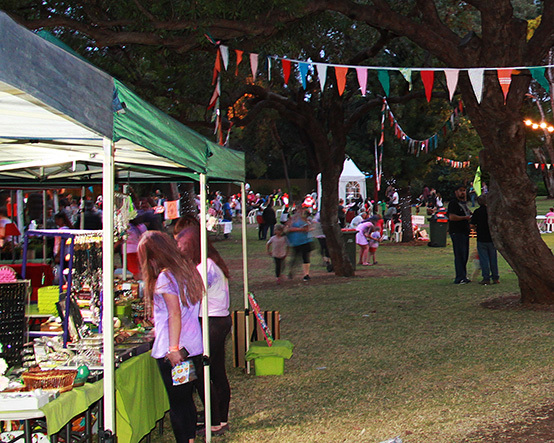 The stalls will be dotted around Ada Ryan Gardens over the two days of the festival from March 30-31. TS Whyalla Support Unit – Navy fun bun, chips and gravy, drinks.